Yay!!! Saturday is finally here! I’m about to head off to work to teach the morning Spinning class and try to get some weights in, but I wanted to share some of my finds with you! 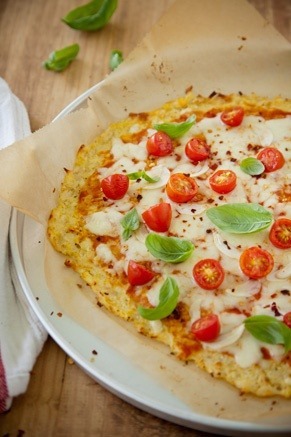 Paula Deen’s Cauliflower Crust Pizza has sparked my curiosity. I’ve noticed a lot of pins for cauliflower pizza crusts. Has any one tried this yet, and is it any good? 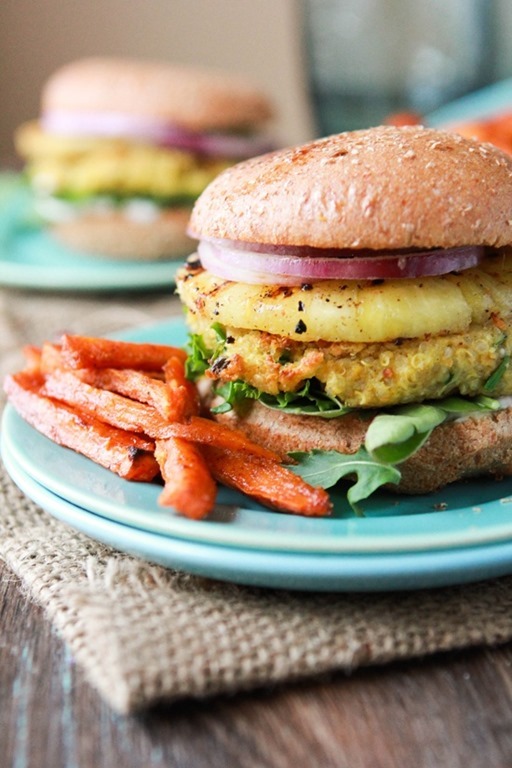 Coconut-Curry Chickpea Quinoa Pineapple Burgers from Cheeky Kitchen. Blueberry Greek Yogurt Pancakes from Recipe Girl. I’m looking forward to trying this recipe soon! Hi Sugarplum! 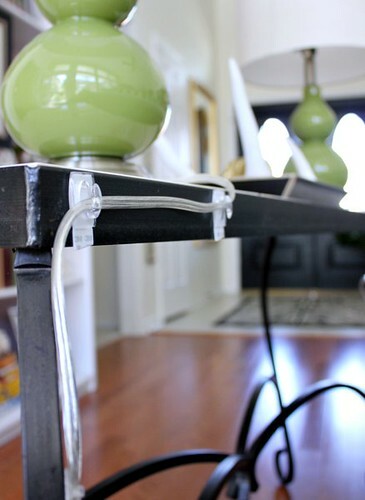 Has come up with a great detailed way to help you hide all those pesky cords. 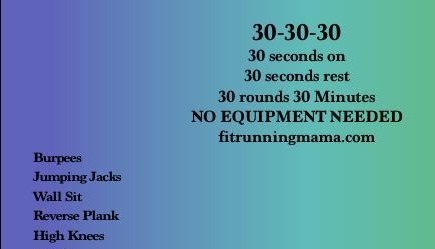 Here is a sweat inducing workout from Fit Running Mama. Go to her site to check out the rest of this 30-30-30 workout. 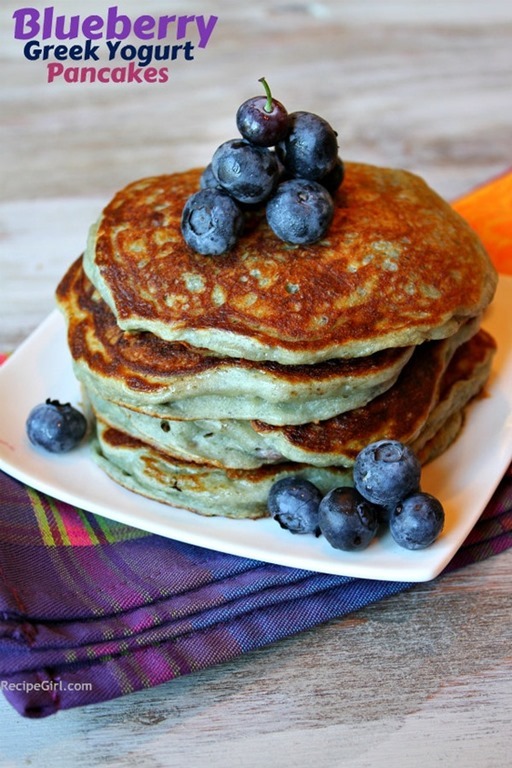 This entry was posted in Recipes, Saturday Shares, Workouts and tagged blueberry greek yogurt pancakes, cauliflower pizza crust, circuit workout, coconut curry chickpea quinoa burgers on March 9, 2013 by fromfltond. I’m looking forward to trying them! OK, you have my attention on the pizza crust and burger! All of these sound delish and worth trying! I’m hoping to make them this weekend. I’m so sorry about the kidney stones. Thank you for letting me know about the crust and how it came out. I was thinking about adding more seasoning to the crust too. I’m hoping I can trick my son into trying it.